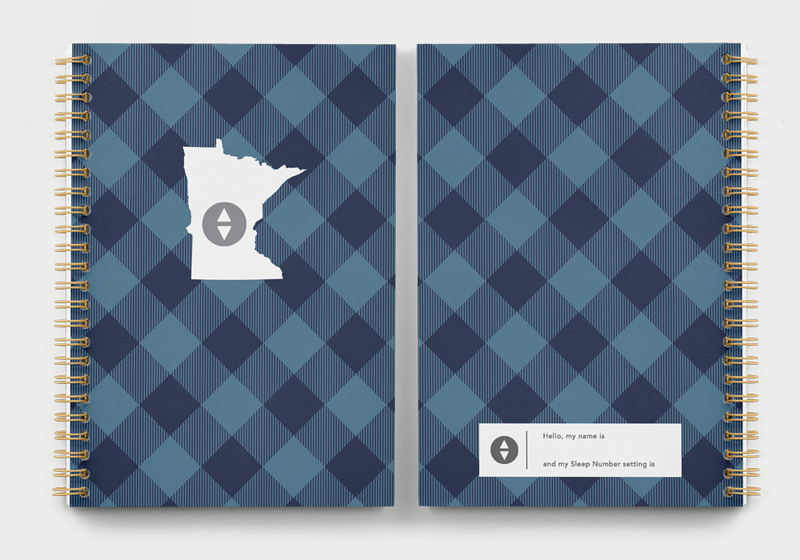 Prior to Sleep Number's headquarters move from Plymouth, Minnesota to downtown Minneapolis, I was asked to design a collection of surprise swag presents for all of the employees that would be waiting at their desks when they arrived the first day. After a few rounds of creative, we landed upon a blue plaid pattern that perfectly reflected the new headquarters: a mix of modern and rustic that used a similar soft blue palette as was used throughout the new building. While not all of these products went into product due to timing, the pattern was loved so much that it made its way onto additional collateral, including signage and corporate communications.